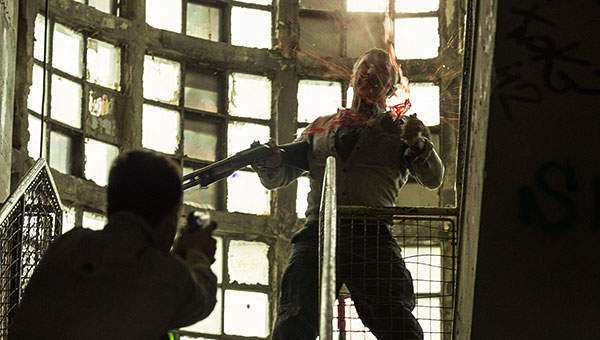 AGOGVIVID FX incorporates movie-styled special effects techniques into live training scenarios. We design and build scalable pyrotechnic effects and products; budgeted, tailored for integration into military, law enforcement and other first responder’s training programmes. We offer solutions that are adaptable to changing tactics, techniques, and procedures to meet current thinking to threats or even the most challenging of fiscal demands. Our aim is simply to assist in providing realistic training with the goal of delivering training environments so realistic that the experience is just like the real hazardous event. Scalable: Ultra-Reel™ effects and a series of products from forensic evidence through to inert that extend from low-cost to high-end bespoke. Supporting training exercises and scenarios aimed at delivering realism through utilisation of close action / proximity special effects designed to simulate the modern evolving threat. Representative: Controlled energetic effects simulating layers of threat and perceived stress through realism. This is achieved using gas, pyrotechnics, ultra-high pressure air and flash technologies to test training audiences to required limits whilst maintaining ultimate control and adherence to safety. Theatres of Operations: In coordination with the customer, current threat vectors will be simulated to train the audience to consider the most recent or perceived risks. Effects are scalable in cost, context and volume. With offices in Oxford, UK, and representatives in Amman, Jordan, AGOGVIVID FX is always striving and delivering innovative solutions and meeting ever-changing demands for military applications worldwide. We offer battlefield effects to engender chaos, shock and disorientation, such as rocket-propelled grenades (RPGs), improvised explosive devices (IEDs), suicide vehicle-borne improvised explosive devices (VBIEDs), suicide bomb, direct and indirect fire, effects layering to provide continuity, context and scale of battlefield experience, using pyrotechnics and or ultra-high pressure air systems. Chemical, biological, radiological and nuclear threat incidents. Persistent effects and catastrophic escalating environments for training in IND, HAZMAT (contact, inhalation, injection, ingestion), accidents, fires, spillages and smoke. Disorientating atmospherics and sensory effects to overwhelm. These include sustained stench, smoke, fire, wind, rain and concussive sound effects. Traumatic live woundings, bullet hits, close-range shootings, entry and exit wounds, shrapnel, blast amputation, hostage torture, prosthetics, makeup and blood effects. 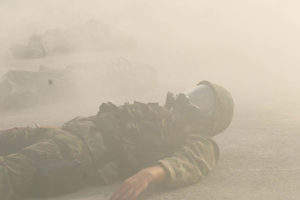 Urban civil and military training can use our high-energy effects techniques within any existing built environment. Our environmental special effects design is used for training that must be undertaken in heritage sites, listed buildings and public arenas. This comprises the design and construction of realistic, repeatable, destructive damage effects within training environments and standing sets. Blast, missile and bullet damage to buildings, walls and natural cover, vehicle impacts, breakaway panels and residual fire rigs. 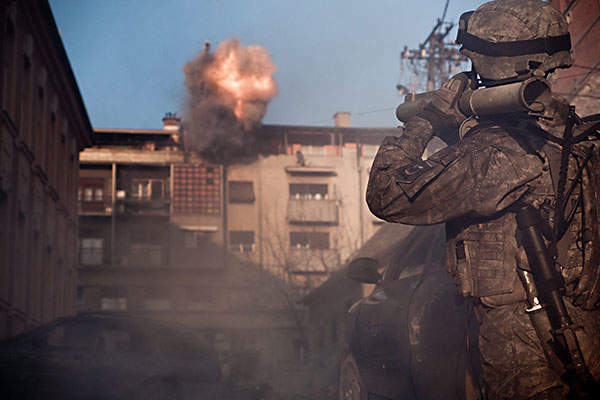 Opposing force arms and munitions, actor initiated body-worn explosives. Section 5 firearms, live firing, blank firing, rockets, grenades, mines, IEDs, suicide vests, air percussion mortars, and bladed weapons. 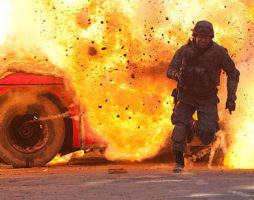 Our stunts feature choreography of all action sequences and reactive interplay. 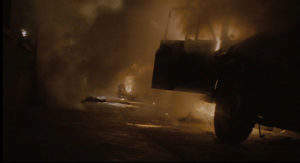 Action directors, scenario advisers, senior special effects and stunt artists are able to embed credible threats into the role-play. 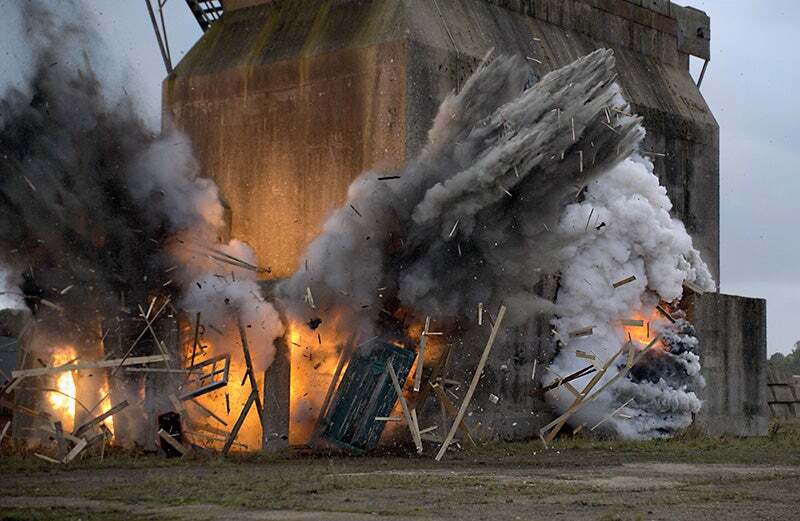 Our product range includes replica action props and IEDs designed to fire, explode and engulf. We also offer in-house build of inert and replica munitions, rigged action vehicles, actor fired suicide vests, dummies, RPG flight and missile strikes.